Yossi has no money to buy the food and flowers his family needs for Shavuot. 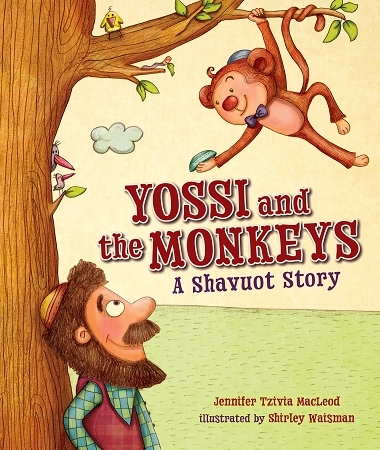 He tries selling the kippahs his wife sewed, but he has no luck until a mischievous monkey shows up. The monkey's antics attract customers and win Yossi's heart . . . but did Yossi's new friend come to stay?